In what may be her last Jackson Hole set piece, the Fed chair defended tighter regulation since the crisis 10 years ago and called for continued U.S. leadership in global forums. The president wants to unwind the reforms. 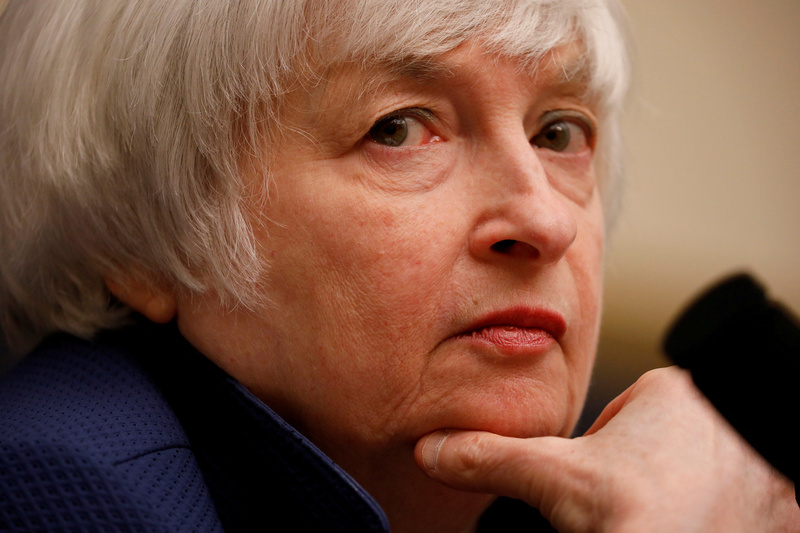 It’s a factor as he considers whether to reappoint Yellen. The Federal Reserve Board Chairwoman Janet Yellen testifies before a House Financial Services Committee hearing covering monetary policy on Capitol Hill in Washington, U.S., July 12, 2017. U.S. Federal Reserve Chair Janet Yellen said on Aug. 25 that regulations put in place after the 2008 financial crisis have “substantially boosted resilience without unduly limiting credit availability or economic growth.” She made the comments during a speech at the annual gathering of central bankers and economists in Jackson Hole, Wyoming. President Donald Trump pledged to “do a big number” on the Dodd-Frank reforms after he took office. Yellen said it’s worth reviewing regulations but “any adjustment to the regulatory framework should be modest and preserve the increase in resilience” in the financial system. It could be Yellen's final appearance at Jackson Hole as the Fed chair because her term expires in February 2018. Trump has said National Economic Council Director Gary Cohn is a candidate to replace Yellen, though she could also be reappointed.